We all live in a fast-paced, ‘any device’, ‘anywhere’ digital world. Your business has opportunities to connect with your audience richly in places and on devices that were not possible even 5 years ago. However, this ‘always on’ digital world also creates challenges; one of which is that your users are fickle and unless they get a highly responsive, personalized experience you’ll lose them. Take for example website images. In 2016, they “accounted for 63% of an average website’s page weight”, an increase of 12% compared to 2015, reports HTTP Archive, a non-profit permanent repository of web performance information. If you are an e-commerce company managing 20,000+ products on your website with four images per product in three different formats having multiple resolutions per image, and two different sizes, managing the processes and infrastructure to optimally store and serve these images can be daunting. You can make the decision not to optimize image size and formats for various devices and connection speeds, but this often results in pages which are heavier than they need to be, a poor user experience, and then site abandonment or user dissatisfaction. Image-heavy websites creates other problems; such as hosting/storage cost, image quality, and the time-to-market delay to manage all variations. This is where ImageEngine service jointly created by ScientiaMobile and nuu:bit can help significantly in improving the satisfaction of your users. Let’s take a deep dive into the ROI for Image Optimization, and how the system works behind-the-scenes to deliver best user experience. Rich and scalable web experiences across connected and mobile devices are necessary to retain customers. 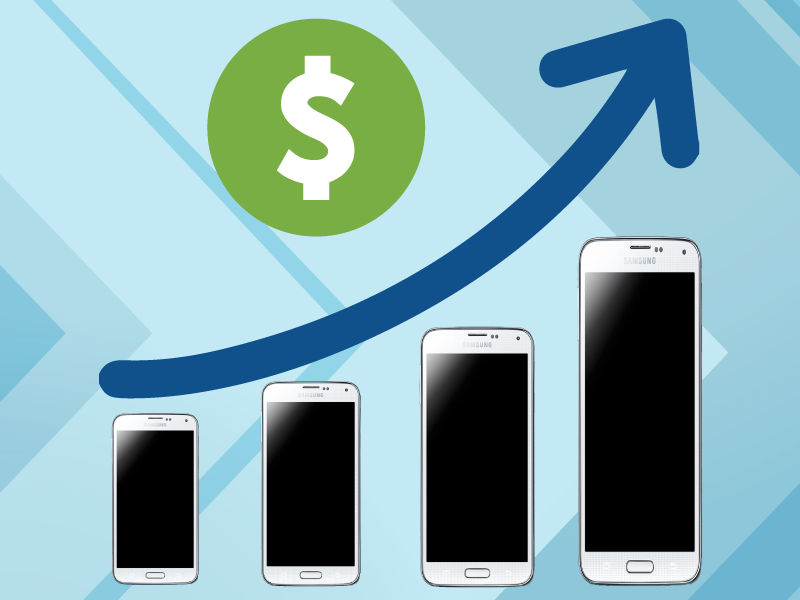 Reducing image dimensions for small screens (like smartphones), say by >60-80% directly reduces infrastructure investment (tied to delivery costs) and drives revenue by improving the end-user experience. The lossless compression of WebP delivers 26% smaller image files compared to PNGs [Google]. Similarly, “WebP lossy images are 25-34% smaller than comparable JPEG images at equivalent SSIM quality index,” reports Google. The result of optimizing the image size and format, is that you experience a reduction in the bandwidth required to download and serve images. If you become aware of the building blocks of bandwidth usage, it’s pretty clear that having bulky website pages compounds the problem. Here’s a graph summary of the impact that ImageEngine can have on your website. It shows the original bandwidth usage for non-optimized images versus the actual bandwidth usage for optimized images. An actual performance gain of 80.1% accelerates the page load time, and hence customer satisfaction and superior user experience. The ImageEngine intelligently detects end device types and automatically resizes site images; with this service, your current website or mobile App publishing workflow won’t be affected.. 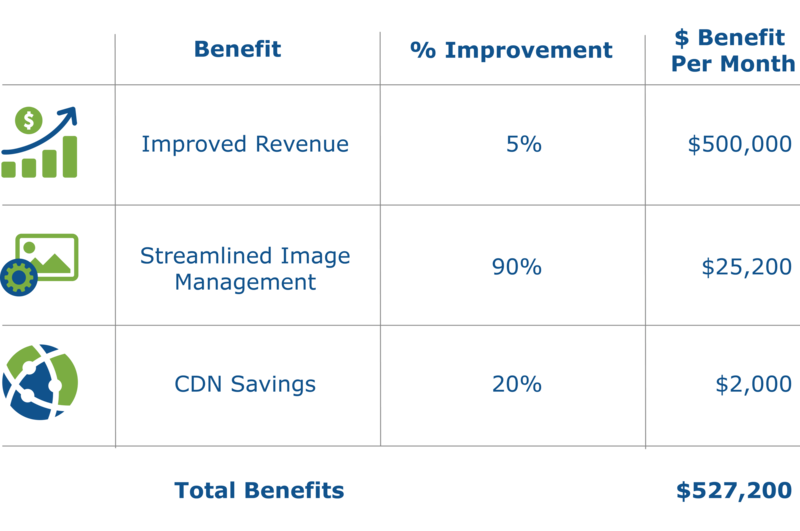 The ROI for Image Optimization is driven by three benefits: Revenue Improvement, Streamlined Image Management, and CDN OPEX Savings. The primary motivation for most e-commerce sites to adopt ImageEngine is to provide a faster and better user experience that converts more visitors into paying customers. Both marketing and IT operations can support an ROI for Image Optimization that improves revenue. Let’s assume an e-commerce site is currently generating $10 million per month without image optimization. Mobile customers are bouncing or failing to convert because the site takes roughly 15 seconds to fully load. In most cases, ImageEngine can accelerate the website load time to 7 seconds or less. Independent studies by Amazon and WalMart indicate the faster websites drive dramatic improvements in conversions – particularly as the load time starts to meet user’s expectations. 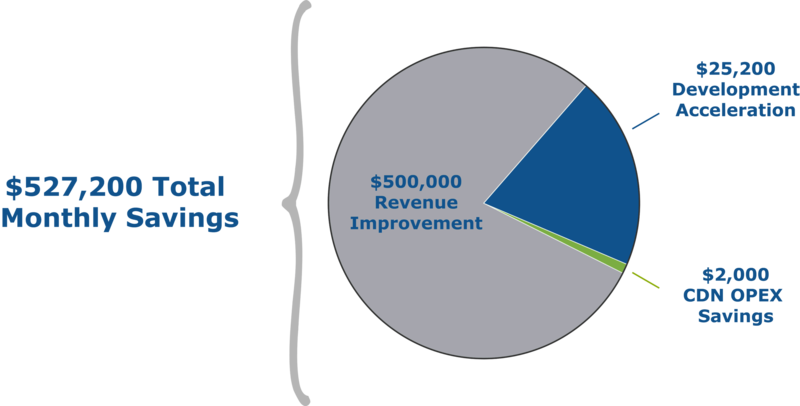 In our example, a 5% improvement in monthly revenue from 7 second improvement is a relatively conservative result. For the top line of the e-commerce site, the ImageEngine acceleration drives $500,000 of incremental revenue. Without an automated solution, image management for a responsive web design site requires constant coding, resizing, and storage. Our example with 20,000 products, 4 images per product, and 3 image sizes requires labor and resources to keep up. Between front-end developers salaries, graphic artists salaries, and image storage costs, an e-commerce firm might spend $28,000 per month. ImageEngine drastically simplifies the process. Only one master version of an image is needed. The rest is automatic. Therefore 90% of the process and costs is eliminated. And developer resources can be re-assigned to more strategically valuable projects. This generates $25,200 of savings per month. It should be noted that this $10,000/month is still delivering a sub-optimal user experience, missing revenue conversions, and requiring much manual image management processes. Not much value there. With ImageEngine, we compress the 50,000 GB by at least 60% to 20,000 GB of Smart Bytes. The price for ImageEngine’s device detection, automatic image resizing, and fast CDN technology comes at a premium relative to a generic CDN. But the 20% savings on CDN expenses alone is still substantial. In summary, each month the e-commerce generates $527,000 of net benefits from ImageEngine with immediate returns in the first month. The way you deliver your application/website content to the end-user impacts its performance. Page load time and availability of your application are the first casualty of an ill-thought content delivery mechanism. You can attain these performance metrics without breaking your bank account. Choose a solution that lets your developer or administrator to experience the platform and try the features before fully committing to the service.